The standards below are intended for sea kayak trips that venture further than four nautical miles from the kayak launch site and/or are overnight or longer. While no standard can guarantee safety, ACSKG standards effectively promote professional risk management and responsibility on commercial sea kayak tours worldwide. Classifications consider topography, bathymetry, fetch, tidal action, marine traffic and local anomalies affecting sea kayak risk management. Boundaries are identified on Water Classification Maps. In mixed fleets, at least one guide must be in a single kayak. In mixed fleets, at least two double kayaks must be used when the maximum number of clients is reached. 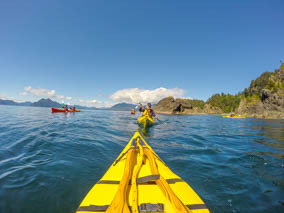 In double kayaks, one guide may be in a single to accommodate an uneven group size. When a client is in a single, ratios and standards for mixed fleets (or single kayaks) must apply. The maximum number of clients must not be exceeded. For example; maximum eight clients for mixed fleets in Class II. An additional certified guide may join a group as an apprentice. Groups shall travel in the manner recommended by the ACSKG Leadership Course Curriculum. Clients must remain between the two guides and within vocal range of the guides while on the water. Deck loads must be minimal to maintain the seaworthiness of each kayak. Class III waters can be extremely dangerous and require the utmost in caution and preparation. Approved PFDs must be worn at all times while on the water. 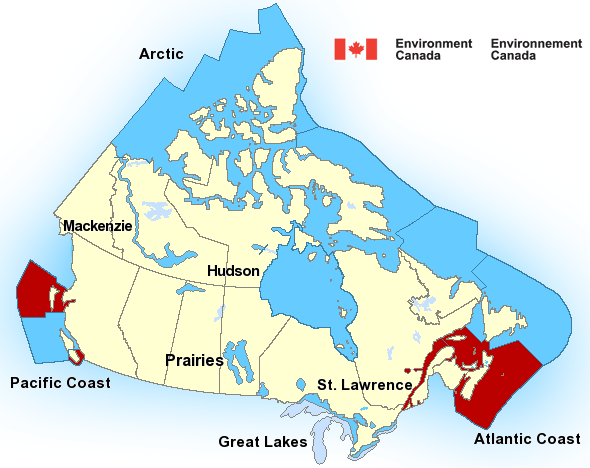 When operating in Canada, PFDs must be approved by Transport Canada. Groups shall conduct themselves on land in accordance with the ACSKG Minimum Impact Standards. Groups shall abide by regulations and laws in effect in the jurisdiction of operation. Comprehensive repair kit with parts, supplies and tools. One tow line per guide, with at least 15 m (50') of buoyant line attached to a quick release system. Combination of hand held flares, parachute flares and smoke flares. Radar reflector which can be raised at least 1 m (3') above the deck of a kayak when in areas of high boat traffic and crossing large vessel navigation channels. Waterproofed PLB (Personal Locator Beacon) and waterproofed satellite phone with appropriate coverage are required in CWC Class III and in areas with poor VHF reception. In areas with absolutely no possibility of VHF reception, a waterproofed satellite phone with appropriate coverage is required instead of a VHF radio. VHF radios and satellite phones must have extra fully-charged and waterproofed batteries, or the ability to recharge the original batteries during the trip. One spare paddle per kayak. Other appropriate gear for clients and guides as recommended by the ACSKG Leadership Course Curriculum. One (1) lifejacket or PFD for each person on board. One (1) buoyant heaving line at least 15 m (49' 3") long. One (1) reboarding device; only required if the vertical height that must be climbed to reboard the boat from the water (freeboard) is over 0.5 m (1' 8"). One (1) bailer or manual bilge pump or bilge-pumping arrangements. If boat is over 6 m: One (1) watertight flashlight. If boat is over 6 m: Six (6) flares of Type A, B or C.
One (1) sound-signalling device or appliance. Navigation lights; only required if the boat is operated after sunset, before sunrise or in periods of restricted visibility (fog, falling snow, etc.). One (1) magnetic compass; not required if the boat is 8 m (26' 3") or less and operated within sight of navigation marks. the small size of the boat or its operation away from radar navigation makes having a radar reflector impracticable. 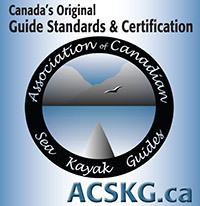 These standards define the ACSKG's minimum acceptable standards for commercial sea kayak guiding in the coastal waters of Canada and around the world. There may be times when best practice in a specific situation requires a guide to make an exception to a standard. It is the ACSKG's hope that best practice will prevail.